A leading selection of special Ayrshire short breaks, hotels discounts, bargains and hotels in Ayrshire you can enjoy. Choose from leading Ayr hotels to country golf hotel accommodation in Prestwick, Alloway and Irvine. For the best price hotel deals in Ayrshire we recommend Late Rooms. For the top discounted autumn hotel breaks in Ayrshire we recommend Macdonald Hotels. Looking for discounted Ayrshire hotels in Scotland? The best Ayrshire hotels include accommodation ranging from 4 or 5 star luxury hotels to country, golf resorts and spa hotels sprinkled around Ayrshire, Irvine and Royal Troon. Many Ayrshire hotels offer golfing breaks and romantic hotel breaks for superb weekend getaways in Ayrshire and Arran. Need A Late Ayrshire Hotel Last Minute? For those people looking to book Ayrshire hotel rooms late, heres the latest accommodation discounts from Late Rooms in Scotland. “One Alloway Retreat” Luxury, stylish, contemporary boutique accommodation in Alloway Village ~ Ayrshire ~ West of Scotland. A new concept in providing luxury, boutique style accommodation located in the romantic village of Alloway, the historic birth place of Rabbie Burns. One Alloway Retreat combines excellent service with innovative design in a laid back atmosphere and superbly located 10 minute walk to Alloway village and Burns Cottage. Brig a Doon House Hotel, Scotland’s premier wedding venue is a one minute drive from One Alloway Retreat. The building dates back to 1854 and has had various incarnations including the "Auchencoyle Hotel". The hotel itself still retains many of the original features including the golf coat of arms that sits proudly at the top of the building. As the hotel sits right next to the golf course it affords our customers an excellent view of a selection of holes, many visitors have commented on the view afforded to them from the bar/lounge main window and from the first floor above. Turnberry is a five star resort where you can enjoy sophisticated accommodation, world class golf, revitalising spa treatments and thrilling outdoor pursuits. Only an hour from Glasgow International Airport and two from Edinburgh International Airport, Turnberry’s idyllic coastal location is easily accessible. Following a multi-million pound renovation programme in 2009, Turnberry Resort Scotland is now part of the Luxury Collection, a glittering ensemble of 70 of the world’s finest hotels and resorts. The newly renovated guest rooms have been delightfully designed to keep the discerning visitor to Scotland beautifully cocooned. The Station Hotel is a grand Victorian property that commands a fantastic location in the heart of the Ayr. All the shops, sights and coastal scenes of this seaside town are just minutes from the Station Hotel and offer much to explore on a short break. With free onsite parking and easy access to the M77 the Station Hotel is also an ideal base for visiting Kilmarnock, Paisley and Glasgow. With so many vibrant towns, stunning coast lines and countryside spots nearby you will be spoilt for choice when deciding where to head. Wherever you end up make sure you return to the Station Hotel for a relaxed and peaceful evening in the hotel’s elegant restaurant. The Menzies Irvine hotel sits just outside the quaint town, just a short distance of the picturesque coast and is surrounded by beautiful Ayrshire countryside. With easy access to the A78/A71 the Menzies Irvine is ideal for visiting Kilmarnock, Troon, Prestwick and Ayr. Head out and explore the bustling towns, the many historic landmarks and the lush surroundings or stay at the Menzies Irvine and work on your golf swing. Enjoy a peaceful afternoon around the hotel’s fantastic 9-hole junior golf course. After a delightful day, enjoy an exquisite evening in the stylish Brasserie Restaurant at the Menzies Irvine. The Western House Hotel not only occupies a unique position as a stylishly furbished high quality four star hotel, but it also has a very special location adjacent to Scotland's premier horse racing venue - Ayr Racecourse. Located near the town of Ayr and Prestwick airport and surrounded by numerous Golf Courses the hotel is convenient, while still allowing guests to escape for a tranquil stay in elegant surroundings. Glasgow is only a 30 min drive from the Hotel, Edinburgh is around 1.5 hr drive. Standing proudly within Ayr Town Centre, The Ayrshire and Galloway Hotel is THE place to stay when visiting the area, whether it be for business (car parking and Wi-Fi available free to our guests) or pleasure. The ground floor as well as housing Reception and the Bistro also offers the “Shire Bar”, a warm, comfortable and welcoming place to enjoy a hearty dram after your journey in front of the open fire or if you are a resident enjoy our "Late Bar". Kick back and relax in the peaceful surroundings. When it comes to affordable hotels without anything being overlooked; the Ayrshire and Galloway Hotel is the place to choose. Victorian terraced house situated in a quiet town centre location.All rooms beautifully furnished to a high standard. The Crescent is a short walk into both the town centre and sea front. An ideal situation to discover Ayrshire golf, Burns Heritage and Culzean Castle. We are currently rated 5 STARS with The AA and Visit Scotland. Ayrshire has many fine places to stay, but few can equal the location of the Golf View in Prestwick. The Golf View prides itself with exceptional attention to detail so making your stay a total pleasure and is currently the only four star property in Prestwick. All individual bedrooms are indulgent with all the little comforts and with spacious en-suites. Golf packages can be tailor made to suit you along with transport. Uninterrupted views over Old Prestwick G.C. and just a minutes walk to the panoramic vista of the Isle of Arran and beyonda real bonus. Prestwick Airport and the Railway Station are a minute or two away. The boutique accommodation reminiscent of a private club is ideal for golfing breaks, weekends away or for business. Situated on the beautiful Clyde Coast, Ayrshire and Arran offers visitors to Scotland memorable breaks in beautiful scenery set amongst fascinating Scottish history and West coast heritage. Visit Ayr and experience a a plethora of outdoor activities including some of the finest golf courses in the world in Royal Troon Prestwick, and prestigious Turnberry, Scotland’s premier Ayr racecourse and of course, Scotland's favourite son, Robert Burns. Day trips in Ayrshire can offer visitors the chance to experience ancient castles (including Culzean Castle – one of Scotland-s finest) and ruins, stunning country parks and gardens, bustling market towns and captivating visitor attractions all year round. Travellers to Ayrshire and this part of Scotland can also expect stunning sunsets, windswept coastlines with views to Arran, lovely rolling Scottish countryside, lots of Robert Burns history and world class golf courses at Turnberry and historic Troon. The Isle of Arran, 55 minutes away by ferry, is very distinct from Ayrshire and is known as 'Scotland in miniature'. A fascinating island with an unrivalled range of landscapes and whole spectrum of Scottish scenery to enjoy. Big enough to offer a large variety of activities yet small enough to retain its romantic intimate island atmosphere. Ayrshire hotel breaks are best for UK Golf + Spa weekends, short haul hotel beaks from Glasgow, Robert Burns enthusiasts, racegoers, romantics and beach lovers. Those that choose to take one of the ferries over the Firth of Clyde to Arran will discover lots of walking options (Glenashdale Falls and Goatfell offer spectacular photography opportunities) the small Isle of Arran Distillery, Lochranza and elegant Brodick castles, ancient stone circles in Machrie Moor, gardens, museums, heritage centres, craft shops and art galleries. There are plenty of outdoor activities to try in Ayrshire, including hillwalking, fishing, boat trips, paragliding, water skiing, quad biking and cycling! Ayrshire shares with Dumfries and Galloway some wonderful rugged hill country known as the Galloway Hills. Located on Ayrshire's shores of the Firth of Clyde lies the town of Troon, which has hosted the British Open Golf Championship twice in the last seven years, while nearby cities include Ayr, Kilmarnock and Irvine. One of Scotland's busiest airports, Glasgow Prestwick International Airport, which serves Glasgow and Strathclyde is also located very close to Ayr. One of the best times to visit Ayr and enjoy a short hotel break in Ayrshire is during January when Scotland and most Scot descendants around the world celebrate Burns night. Effectively Scotland's second national day, Burns nights are celebrated on the 25th January with Burns suppers and celebrations as a mark of rembrance for Robert Burns. Burns nights are traditional events that begin with a general welcome and announcements, followed with the Selkirk Grace. After the grace, comes the bag piping and cutting of the haggis, where Burns' famous Address To a Haggis is read and the haggis is cut open. The event usually allows for people to start eating just after the haggis is presented. Burns night is normally capped off with a few whiskies and the singing of Auld Lang Syne making it an enjoyable event for young and old. 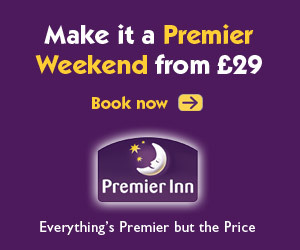 Booking hotels in Ayrshire is simple. Hotels you’ll find in Ayrshire and Arran are of decent quality however the best hotels are located in Ayr and Troon with some nice country golf hotels and Scottish inns, exceptional country house hotels and 5 star resorts scattered on the coastal regions of county Ayrshire. Book your hotel deal ahead in these Scottish cities within driving distance of Ayr. Discover Loch Lomond's quaint country villages and towns over a long weekend. Take part in activites from fishing and boating to west Highland walks and Loch Lomond cruises. With many accommodations from luxury hotels to budget inns, Loch Lomond caters for every taste.